Lets say you want to check a email account every couple of minutes and this was react such as run a couple of commands and email you back? Randomize the house lights which will turn on my media player and play music remotely as well. First setup outlook as your normally would, make sure it checks your email every 2-3 minutes. Then in your code, you will need to make sure you first reference the “Microsoft Office object 12 or 11 “ library into your code. 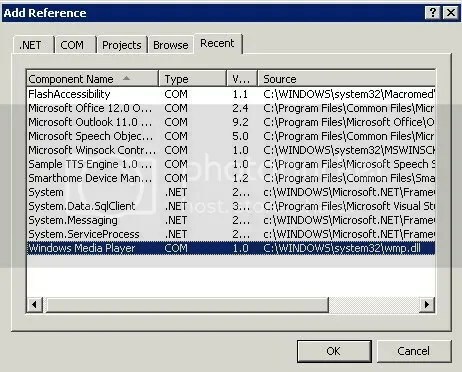 Depends your version it may have object version 11 I’ve used this with Outlook 2000,2003,2007. I suspect by a macro you wont need to have outlook running but in my case its no biggie. Public objNS As Microsoft.Office.Interop.Outlook._NameSpace '--------- The Outlook namespace, used throught the code. Public objInBox As Microsoft.Office.Interop.Outlook.MAPIFolder'------ The folder object that we will assign the inbox to. Public objItems As Microsoft.Office.Interop.Outlook.Items'-------- Each of the items in the inbox, we will loop thru this to read the individual emails. In the function that will do the actual reading, we will start with the assigning of variables and then check the emails and search for special text inside the body of the emails. objInBox = objNS.GetDefaultFolder(Microsoft.Office.Interop.Outlook.OlDefaultFolders.olFolderInbox) ' --- Assign ObjInBox to map to the default inbox. objItems = objInBox.Items.Restrict("[UnRead]=True") '----- assign individual items BUT filter only the UNREAD ones! Dim iCount As Integer = objItems.Count  '------ Will hold the amount of NEW email, will return 0 if all email has already been read. inboxitem = objItems.Item(i)  '----------- ASSIGN A EMAIL ITEM TO THE INBOXITEM, from there we can query stuff like date,subject sender etc. outmail.To = inboxitem.SenderEmailAddress '-------- Get the sender email for the inboxitem object. And thats it!. If you like you can add attachments, HTML text and others, I would checkout Microsofts site for more details on what you can do with the outlook client!.